A red rose, a comb in the hairand high-heel shoes. A ruffled garment with colourful polka dots. Tradition, pandemonium, party. In other words, Flamenco. But as Eva Yerbabuena, one of the world´s best-known Flamenco dancers, says, “Flamenco is not only party and olé.” It is the ultimate Spanish art, and it also develops and innovates. This month the Flamenco Festival London will be bringing some Spanish creativity to the UK’s capital. The festival, which is celebrating its 10th anniversary this year, always tries to show different flamenco’s trends. Belén Seoane, spokeswoman of the Flamenco Festival, says: “We try to bring the most innovative and the most traditional shows.” They go from the new ideas of choreographer Juan Carlos Lérida (who loves mixing flamenco with others arts and dances) to the traditional moving of Rocío Molina. In fact, the mix between modernity and tradition is one of the most notorious aspects of the Festival. Tapeos is one of the most innovative exhibitions and is managed by Lérida. It is a project created to offer a space for experimentation with flamenco to people from around the world. The participants were asked to upload their creations on YouTube, from which Lérida selected four: two (one from the UK and the other from Chile) were performed last Friday and Saturday with an impressive reception. One of them was a mixture between flamenco and classical ballet, with copla (another Spanish traditional music) and a whole piece of Spanish dry-cured ham in the background. “This is one of my favourites,” said Lérida. The remaining two (from Greece and Spain) will take place next Friday. The idea tries to stimulate “creativity and risk,” as well as new creations from flamenco. “I look for something that supports flamenco, but with a more contemporaneous vision,” said Lérida. Moving from innovation to tradition, there’s Ballet Flamenco de Andalucía and show “Metáfora” [Metaphor]. 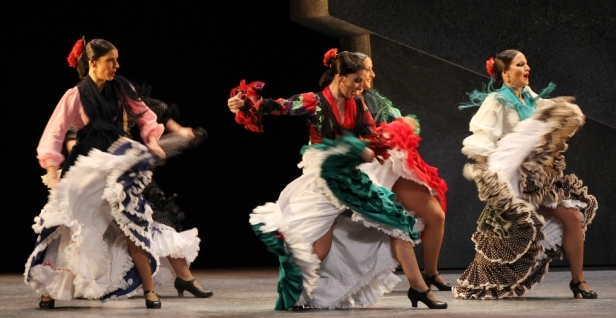 Metáfora is a performance dedicated to Andalusian dance and all trends of flamenco. It is carried out by this young company of 17 dancers, singers and musicians with the collaboration of the well-known dancers Rocío Molina and Pastora Galván. The show was a huge success all over Spain and later in New York, where it waswarmly received. “They are admirable,” said the New York Times’s review about the guitarists. Some of their most remarkable features are the traditional bata de cola dresses –a very special type of dress characterised by its long train with ruffles which is specially difficult to dance with—, castanets and an incredible powerful footwork, which have impressed people around the world. It has been described as a tribute to what was and is the flamenco dance. According to Rubén Olmo, director of the company, flamenco has a huge “rhythmic wealth with a lot of nuances,” and this is what he wants to show in the spectacle. In less than two hours of performancethe audience will be able to feel the great passion of those dancers across the “different languages and forms” of flamenco. The incredible Rocío Molina’s dance –described as “a metaphor of our own thoughts” by Olmo— and the marvellous footwork in groups will astonish the spectators. “I want the public to enjoy and feel with us. And we with them,” said the director. 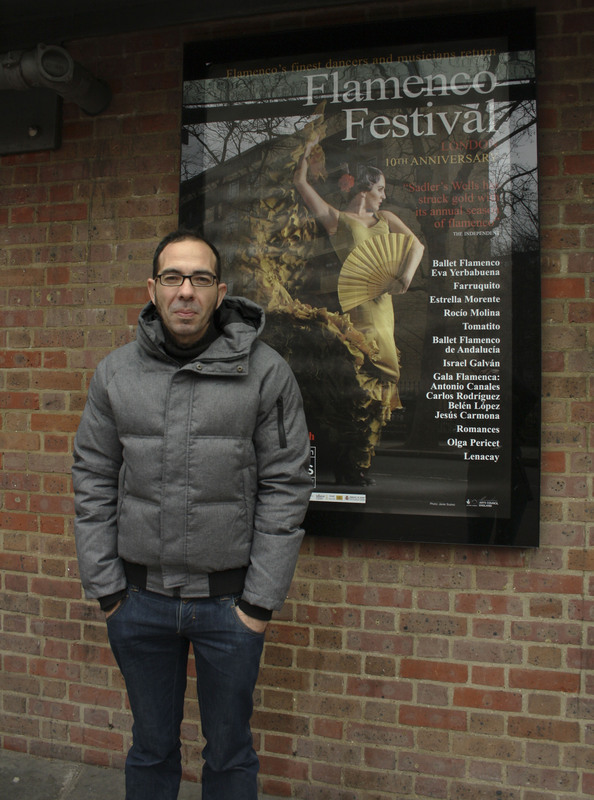 *Reportaje escrito con motivo del Festival de Flamenco de Londres, para la City University of London.